Our personal yet professional approach attracts discerning clients searching for creative and exciting design solutions. The majority of our work comes from word of mouth; reputation is everything and this is reflected in the personal, professional and thoughtful level of service we provide. A strong appreciation of our clients' privacy is our overriding value. Every client has a different brief therefore Andrew West Interiors follow no set design style or discipline. The look and design of a home is frequently based around what we put in it; what items go into the house and what we specify. We are comfortable and experienced in working with modern and contemporary styles to traditional, vintage and antique design. We prefer to mix different genres of furniture so it appears that the client has built their collection over the years, rather than a few months. 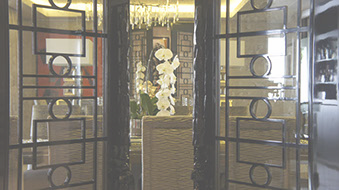 Andrew West Interior Design Company has been an established business since 1982. We have a wealth of experience managing projects ranging from private homes, apartments, golf clubs, private yachts, hotel refurbishment and palaces. 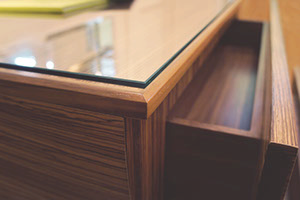 The company was founded by Andrew West, a masterskilled-craftsmen of furniture and interior design, extremely gifted in his artistic vision and the ideas he brings to his creations. Together with his team of skilled designers' the company is able to produce interiors that have their own personalised hallmark of originality. By understanding the concept of architecture and scale the highly skilled designers' are able to produce architectural drawings and storyboards detailing their clients chosen styles either modern contemporary, classical or traditionally themed rooms. By working together with our clients' and most importantly, listening to their personal specifications we are able to produce interiors that bring comfort and harmony to the new room and marked with their own personal signature look. To hear clients say “this is remarkably stunning, much nicer than I had imagined” is music to our ears! After working on the miniature snooker tables for a few years, Andrew decided to branch out into making bespoke furniture, and began to take on commissions which included furnishing entire homes. It was during this time that he began to fine tune his skills and to further improve his standards. Therefore Andrew West Interiors evolved to become synonymous with quality and attention to detail. 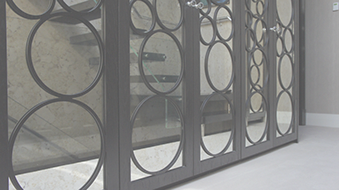 Projects often include furnishing apartments, houses, mansions and palaces. Work on private yachts is also undertaken on request. In the commercial sector AW Interiors has also been commissioned to furnish offices to their specifications, and to participate in hotel refurbishment. More recently, Andrew – who has great interest and knowledge in fine watches, decided to explore the watch winder market. He has since designed and made a wide selection of watch winders. Models range from single movement winders, to multiple movements housed in cabinets, and even 20 movement models concealed in desks and other furniture, which appear by remote control. 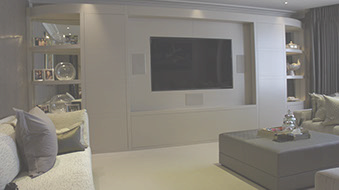 As well as the established lines, winders are often made to clients’ specifications – often to fit in with their existing furniture or audio visual equipment. The focus is for continued growth and development of fine craftsmanship, which can then be shared with and enjoyed by others. Andrew West was born into a family who possessed artistic skills; his father was a fine bespoke tailor, who instilled in him the need to pay attention to detail at all times. His mother was a skilled dressmaker, who also passed on her skills to her daughters. Subsequently Andrew never saw the need to take short cuts in any of his endeavours – even during woodwork lessons at school. During the late 1980's when snooker was popular on TV in the UK and receiving high media coverage, Andrew hand crafted miniature snooker tables, replicas of the professional tables seen on TV, with all the fine detail, including brass and leather accessories. They were highly successful, selling at Harrods Department Store, and bought by collectors worldwide. They can still be found in certain large homes, private apartments and palaces. Keep your watch ticking by parking it in Andrew West Interiors watch winder. 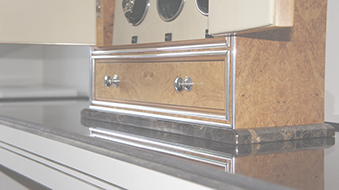 Our luxury automatic module watch winders houses every timepiece. Watch winders store automatic watches and keep them wound for people who do not wear their automatic watches every day. This is particularly advantageous where a watch has complications, such as perpetual calendars or moon phases.